What does your body want? Get the best out of your sleeping hours with biphasic sleep! Modern society has a lot of amenities. What the members of the modern society do not have is quality time for them. A huge portion of the working crowd in the cities, carve out their “me time” from their bedtime. As a result, you will often find the 20-something crowd watching TV series, browsing Facebook or updating their Instagram feed after 12 am. This pushes back the regular sleep cycle and forces unwarranted tedium on the people the next day. A huge portion of modern society complains about poor quality sleep. In fact, it is not insomnia that plagues the bigger chunk of the adult earning members of the society. It is the lack of quality sleep at night that poses a serious threat to their next-day productivity. Even with 6 hours of sleep, it is entirely possible to feel tired the next morning due to repeated interruptions during the night. What is monophasic sleep, biphasic sleep, and polyphasic sleep? Most people prefer monophasic sleeping patterns. This is where the subject goes to bed for 6 to 8 hours at a stretch. Either due to the lack of available time or due to personal choice, they do not take a “nap break” during the day-time. They stick to a single sleep and wake time that is a result of the modern day work hours. In fact, most people have been a slave to monophasic sleep routines ever since they stepped out of kindergarten. Except for toddlers, the elderly and the residents of a few nations of the world, no one practices biphasic sleep anymore. Biphasic sleep or sleeping in two phases is very common in certain regions like Spain. The residents of the country are popular for their regular practice of “siesta” or afternoon naps between 2 pm and 4 pm in the hot afternoons. Several countries in the east are reintroducing the concept of biphasic sleep among students and office workers alike. You might run into office places with nap desks and schools with nap hours in Japan and Singapore. In accordance with research, these offices and schools believe that practicing biphasic sleep increases the productivity of the people involved. Biphasic sleep usually involves 5 to 6 hours of continuous sleep at night and 20 minutes to 90 minutes of sleep in the afternoons. While ultimately it can take up the same amount of time per day, segmented sleep can help you redistribute your household chores, office work, unavoidable errands and personal time much better throughout the day. Segmented sleep can refer to polyphasic sleep, where most people stick to three or more sleeping phases throughout the day. A number of patrons like Dubovoy, who has slept for less than 4.5 hours for the last couple of years, assert the time-saving quality of this kind of sleeping patterns. When one can adopt multiple sleep phases or segmented sleep like Dubovoy did, one can find more time for several new hobbies, finish tons of pending work and still feel energized throughout the day. When are segmented sleep patterns unhealthy? Sadly, for many around the world, polyphasic sleep is not a choice. People often practice polyphasic sleep out of compulsion from sleep deprivation or due to hypnotic effects of psychoactive medication. Hence, most people experience exhaustion instead of relaxation from their polyphasic sleep phases. This classifies as irregular sleep wake disorder, and people suffering from this usually have very scattered sleep hours throughout the day. A huge difference between polyphasic sleep and irregular sleep-wake patterns is the lack of planned sleeping in the latter. This does not facilitate the long-term memory formation process in the brain, and it does not allow the body to feel rejuvenated over time. This kind of unpredictability in sleep patterns can lead to chronic fatigue syndrome. This can further lead to muscle fatigue, confusion in thoughts, slow decision making process and compromised cognitive analysis. The precedence of chronic fatigue in the millennial workers shows how acute the problem of quality sleep has become today. How to distinguish biphasic sleep from other sleeping habits? You can sleep for 6 hours each night and then refresh yourself with a 20 minutes nap in between. You can sleep for about 5 hours each night and then set apart 1 hour or 90 minutes in the afternoon for a long nap. Spanish and Greek communities practice the custom of siesta. Several blogs and popular science articles claim that people often perform better with a biphasic sleep pattern. Taking short or long naps in between work helps to refresh memory, gain new perspectives and think of new solutions for persisting problems more efficiently. There is another, not so popular kind of bimodal sleep that segments the usual 6 to 8 hours of sleep into two equal phases. As a result, the individual gets two almost equal periods of sleep. With this kind of a segmented biphasic sleep, you will get to experience 3 to 3.5 hours of sleep during each phase with 2 hours of “rest” between them. It is no longer popular in the modern society because it is not conducive to the modern work hours or socially accepted sleeping schedules. It was quite popular during the times of pre- industrialization in England and France. What does history have to say about bimodal sleep? Without the intervention of electricity and artificial illumination, people were more likely to sleep in biphasic patterns before the 19th century. In fact, literature, court records and public records from 17th century England, 16th century France and even anthropological tribes from Nigeria show evidence of bimodal sleep. The references to the research by historian Roger Ekirch went on to change the modern world’s perception of 8-hour sleep. The records showed that people did not just fall asleep at night and wake up in the morning to bird songs. They usually fell asleep two hours after dusk, woke up for an hour or two, and then prepared for a second sleep that lasted till dawn. In fact, a number of prayer manuals from the late 15th century showed the development of a number of new prayers for just this 1 to 2 hour period. These waking hours were not unproductive or lethargic in any way. People indulged in reading, writing, music or acts of conception, as per a doctor’s manual from the 16th century France. By the end of the 17th century, the practice, concept and even the memory of biphasic sleeping patterns were becoming quite obsolete from popular culture. This was partly due to the introduction of street lights and domestic lighting, and partly due to the rising popularity of coffee houses in the late 18th century Europe. Nonetheless, we find the mention of segmented sleep or biphasic sleep in Barnaby Rudge by Charles Dickens (1840) and Don Quixote by Miguel Cervantes (1615). According to the highly acclaimed historian, there are more than 500 literary references that point towards the predominance of bimodal sleep system before the industrial revolution in Europe. How does biphasic and polyphasic sleep affect our memory? According to data and research from National Institute of Health (NIH), we spend nearly one-third of our lives sleeping. A lot of people will find that hard to grasp and reel from the sheer “waste of time” each day of our lives. Nonetheless, sleep exists in nature, and different patterns of sleep exist due to its necessity in the animal kingdom. Almost all animals have distinct sleep patterns depending on their body’s heat generation capabilities, feeding habits, and mating necessities. While some animals follow regular monophasic or segmented sleep patterns, others feel the need to hibernate or aestivate during certain seasons. Research has been emphasizing the role of sleep in memory formation, cognition and behavior for quite a few years. The impact of sleep is not only physiological, but also psychological and it affects animals higher up in the food chain like the human beings. Yet, another question remains – why does the sleeping pattern change with age? Does failing memory or old-age related dementia have anything to do with sleep quality? In reality, sleep has a lot to do with almost everything in our lives. From healing injuries to replenishing our “thinking juice”, sleep covers all these tasks while we sleep. So, thinking that our brain completely shuts down or only screens amazing dreams, while we sleep is a mistake. While we sleep, our brain converts short term memory to long term memory; it links relate memories, solves unsolved problems and of course helps you learn new things faster the next day. You experience about five 90-minute cycles each night, with the recurrence of REM sleep phase, where you dream fervently. During your non-REM sleep, your brain waves break down to slow waves and fast waves. Slow wave sleep is critical for declarative memory (recognizing and recollecting facts/incidents). Good quality sleep is very necessary for slow wave sleep and the formation of new memories. This clearly shows a necessity for long naps during the afternoon to boost cognition and analytical prowess of our noggin. It is NOT very necessary to go into REM sleep (or dream of your celeb crush) in the middle of the day, but you can definitely give your central processing unit a much-needed reboot by going into hibernate mode for 60 to 90 minutes per afternoon. A recent study from a group in UC Berkeley shows that people who slept for 90 minutes exactly at 2 pm in the afternoon performed much better than the ones who did not, during a learning exercise at 6 pm. That does not mean REM sleep in completely unnecessary. You need REM sleep to rejuvenate your mind and body. It is the recuperative part of our daily sleep cycle, and it occurs about 90 minutes after you first fall asleep. The average human being experiences about five such REM cycles and you need 4 to 5 REM cycles to feel fresh the next day. In case of biphasic sleep patterns, people go through about 4 REM cycles at night and can experience one more during a long siesta. However, for polyphasic sleep cycles, it becomes difficult to accommodate more than 1 or 2 REM cycles at a stretch, and there is no chance of the recurrence of the non-REM slow wave sleep stage. Therefore, there is a strong link between your sleep quality and your memory or your sleep quality and your learning ability. Aging comes with a lot of sleeping problems, and the memory problems that come along are not just a grave coincidence. Sleep is very necessary for your health, and it may even make you smarter. Before adopting a polyphasic sleep pattern, you should read up on the pros and cons of it, analyze your health risks and only then embark on the brave journey. Is your insomnia a telltale sign of a natural biphasic sleep pattern? There are a number of people out there who lie awake at night for hours wondering if they should take sleeping pills or if they should see a doctor about it. According to the Dr. Richard Friedman’s years of observation, most of these people do not actually have insomnia. A number of them have a natural bimodal sleep pattern etched into their genes. Since the intricacies of circadian genes, their heredity and their effects on natural sleep patterns are not yet fully understood, it becomes very difficult for people to understand if their insomniac nature is actually a prevalence of a bifurcated pattern. Is the delay in sleep onset regular? Do you feel sleepy throughout the day? Do you become sleepy only during the afternoon at a fixed time every day? If you have been falling asleep 2 hours later than expected bedtime, not feeling sleepy and fatigued throughout the day and yet feeling excruciatingly sleepy at a fixed hour in the afternoon, then we have great news for you – you do not have insomnia at all! You may have your circadian clock set to a biphasic sleep pattern, and you need to pay attention to it. What triggers a bifurcated sleep pattern in people? According to data from Dr. Richard Friedman, a huge part of the population shows a distinct split between the non-REM sleep patterns. In fact, several studies have noted the body temperature fluctuations between people who stick to a monophasic sleep pattern and people who stick to polyphasic sleep patterns. People with a naturally bifurcated sleep pattern, show two distinct temperature drop phases throughout the day. Researchers and psychiatrists do not yet know if the brain simply follows the temperature cues of the body or there are more intrinsic factors that cause the brain to lower the core temperature. Back in 1992, Thomas Wehr tried to recreate polyphasic sleep in human subjects by manipulating the photoperiods. It turns out, external cues can truly have a serious control over human circadian clock genes. Human sleep can become biphasic and polyphasic just like other animals (why else do you think people call it “cat nap”?) upon the shift of the photoperiod from 16 hours to 10 hours. During these experiments, Wehr saw that the level of melatonin secretion also increased along with the duration of secretion. The increase in melatonin levels corresponds with the onset of sleep. As the photoperiod became shorter, the melatonin secretion period became longer, and people automatically shifted from a monophasic period to a segmented sleep pattern. External cues and internal factors contribute to inherent sleep patterns in individuals. Although scientists have successfully isolated the two genes that are responsible for the maintenance of circadian rhythms in human beings, each pathway and how each component of the circadian signaling occurs are still not clear. Several parts of the circadian cycle and the allied signaling systems in human beings are still shrouded in mystery. Therefore, there might be other, unknown factors, which govern the biological clocks in human beings. Diphasic sleep patterns can be a result of a combination of genetic factors, acquired habits or external signals in multiple subjects. Can you benefit from biphasic sleep? As you must have already understood, biphasic sleep involves sleeping in two distinct phases throughout the day. This can help you find more time for self improvement and help you complete a lot of outstanding work. Bifurcated sleep has a number of other benefits that individuals, who practice it over time can enjoy. The majority of the subjects, who have engaged in biphasic sleep have reported feeling more inspired and creative at the end of the process. Just like monophasic sleep, biphasic sleep allows 4 to 5 REM cycles, but with a break before the last cycle that occurs during the afternoon nap. The nighttime REM sleep is especially great for creative boosts. People have restarted their video projects, writing projects and performed better in academics after participating in bifurcated sleep experiments. As we have discussed before, there are two types of bifurcated sleep. If you are engaging in the segmented biphasic sleep with two equal sleep periods divided by a waking period, you can utilize the time for painting, practicing a musical instrument, reading new books and learning new facts or simply meditating. For those engaging in a short nap or long nap biphasic sleep cycles, the time immediately after the nap is ideal for engaging in creative activities and arts that stimulate the right side of the brain. People report feeling calm and one with their surroundings immediately after their afternoon nap. This might be a result of the quick relaxation and the boost your think-machine receives after the brief sleep. People have written books about it, scientists have made research careers out of it, and Keanu Reeves has starred in a movie about it! The lucid dream has been a topic of discussion at academic sessions and at parties alike. While people are busy trying to master the art of controlling their dreams, let us tell you a secret – even you can do it. For the lucid dreaming novices, it is where you are “awake” during a dream, and you can control it. So, no more falling off cliffs or waking right before you take a bite of the 3 pound chocolate cake! You can control your dream any way you want during lucid dreaming and make them end wherever or however, you please. Biphasic sleep patterns enhance lucid dreaming abilities. For people who have already tried it, this is your chance to master it. In case you do not want to control your dreams and you are perfectly happy with how they proceed, no worries! You will experience some pretty interesting dreams anyway. Bifurcated sleep has a strong relationship with the REM sleep cycles, and it boosts the brain’s creativity to an extremely high level. This also increases your brain’s restoring activity and helps your body heal much faster. However, all these perks come with one annoyance – you might have to give your ongoing projects a rest for the first couple of days to hit the hay in the afternoon. You will have to reorient your day’s plans around your afternoon nap and set a number of new alarms to get in touch with your new body clock. Social deprivation is a real risk if you fail to reorganize your planner successfully. These are a few risks you must weigh before you commit to a bifurcated sleep pattern during adulthood. How to switch to a bifurcated sleep pattern? 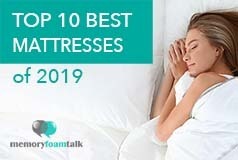 Find out the best bedtime for you. This should be around 6 hours from your alarm time. So, you should be in bed by 12 am to 12:30 am. The latest you can go to bed will determine your morning wake-up time. Find the earliest morning wake-up time for you and set the alarm. For example – the ideal wake-up time for a lot of adults is around 6:30 am or 7:00 am, but with biphasic sleep, you can push it back to 5:30 am or 6:00 am. The best way to control your sleep during the rest of the day is by increasing your exposure to natural light, bright light sources and blue light. This will block the generation of excess melatonin in your body. Ideally, the time for an afternoon nap is between 2 pm and 4 pm. Try keeping your phone in night-mode to minimize all distractions during this time. Keep aside an hour or two for your afternoon nap, depending on your preference for a short nap or a long one. Initially, you might find it difficult to fall asleep in the afternoon, so try refraining from caffeine and energy drinks in the late morning. In the evening, reduce your exposure to bright lights, blue light and stick to natural light sources including yellow lights. This will help you stick to your 12 am bedtime and early morning wake-up time for years to come. The change should be a gradual one if your body needs more sleep you should adjust your sleep phase and nap phase accordingly to accommodate more non-REM sleep. 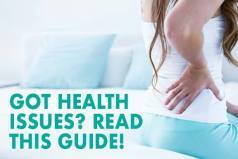 Are you feeling groggy throughout the day? Are you catching a cold or suffering from an upset stomach more often than usual? If the answer to all four questions is a resounding “no”; then you are doing great, and you should definitely go ahead with your biphasic sleep shift. A better night’s sleep is a result of a lot of praying, wishing and hard work for some. For others, it is just the norm of life. They can close their eyes and drift off to fairyland in less than 10 minutes each night. 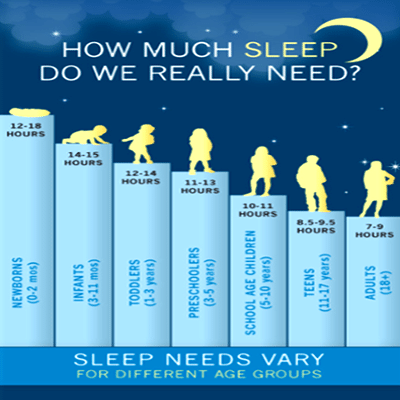 In case, you belong to the former group; we know exactly what can help you improve your sleep quality. Avoid caffeinated food and drinks right before each sleep phase. Give your system at least 3 hours to flush out the caffeine from the morning latte. Engage in a little workout each morning. Meditation and jogging help with early onset of sleep. Before you go off for your nap or your sleep, give yourself about 30 minutes without blue-light emission from electronic devices. You can try using white noise machines at night and brown noise machines in the afternoon for better sleep. Keep your room quiet. Switch the TV off and draw the curtains before you go to sleep. At night, keep the lights off (you can keep the hallway or bathroom lights on) while you are in bed. People who are trying bifurcated sleep in the afternoons can find it especially annoying with all the honking, people talking, neighbors whipping up a racket and the light outside. The trick is to use an eye mask and preferably invest in a white noise/brown noise machine to help you calm down. A lot of people use pleasant fragrances and essential oils like lavender and ylang ylang to help soothe their worn out nerves. Once you are in the habit, you will find it easy to fall asleep each day without any help! Is it time to go nap: should you try a new biphasic or polyphasic sleeping pattern? You must remember that each individual’s body has an intrinsic clock that depends on a number of factors apart from external photoperiods and scotoperiods. In fact, for academicians, students and office goers, it might be quite impossible to experiment with biphasic and polyphasic sleep patterns right now. People who have the luxury of 14 hours of uninterrupted darkness and solitude can easily experiment with their sleep patterns. However, that does not mean that your natural or adjusted sleeping pattern is in any way inadequate for you. Your current sleeping pattern may be a result of your work hour compulsion or the result of the natural needs of your body. Either way, changing to a new sleep cycle takes time, perseverance and planning. If you do not have the time to plan or the time to make up for things that can go wrong during this change, you should not attempt such a big shift. People, who are completely unsatisfied with their sleep quality or individuals facing the need to cut down their sleeping hours drastically at night, should definitely try biphasic sleep or polyphasic sleep for a month. Taking up a segmented sleeping schedule helps in saving more time, getting more work done and finding more relaxation during the day due to interjected afternoon naps. 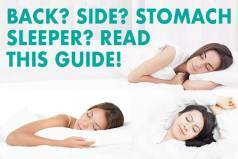 Understanding what your body wants is the key to a successful shift from a monophasic sleep routine to a biphasic or polyphasic sleep routine.